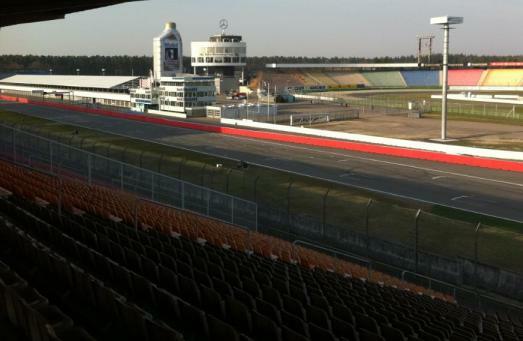 Did reading Nürburgring just make you shiver? Yep, me too! I spent several days at this racetrack and thought you might find my musings interesting, maybe interesting enough so you make that jump, too (while you still can; more later). And you want to, trust me. 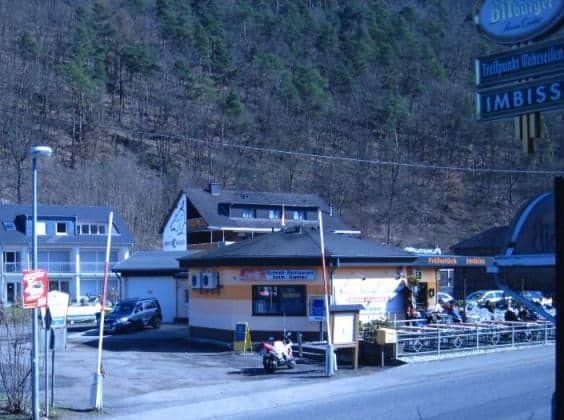 If you’ve ever thought or even just fantasized about driving the Nürburgring,this story is for you. I went to the Nürburgring with a group of racer friends, some were there before, one actually races there in the VLN series. Going with a group improves the social aspect which can make a big difference. Had I gone there solo, I would not have had nearly as much fun. 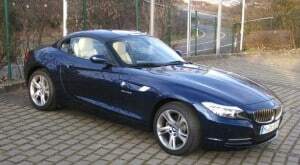 Yeah, I would have come home knowing I had driven the Nürburgring, but who would I brag to each time I got off the track? Having friends there so we could swap lies was pretty cool…plus you get to give each other rides increasing your track time for the same money. So, don’t forget to bring a friend (or two, or more). checked into the hotel, then we grabbed a pilsener or two. Maybe more, can’t remember. If you’re a fan of heavier beers (I prefer ales, darker lagers, and IPAs), you may be disappointed in German beer. But ask around, there are options if you’re not a pils fan (ask if they have a dunkel). 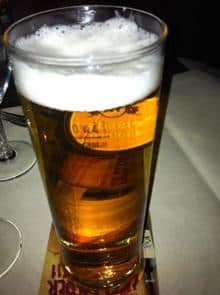 Germany’s standard pilseners are pretty refreshing and tasty beers; they have a lot more flavor and a lot less carbonation than your garden-variety Bud or Miller here in the states (Germans don’t flatten the taste with rice and other additives). Most importantly, it’s fresh from the keg so they’re not pasteurized. I pretty much drank German pils all week and really enjoyed them. Bitburger, Warsteiner, and Kölsch were predominant in the region (every little out-of-the-way bar had the ubiquitous “Bitte ein Bit” sign), but you’d be pleasantly surprised by local pils as well. Branch out, ask them about locals, and give them a shot (no pun intended). Anyway, we spent Monday night at the Mövenpick Hotel, a classy place by the Stuttgart airport and had several beers in the bar there (including a tasty local). Our reason for being in Stuttgart on Tuesday was the same as Kai’s a couple months ago: to visit the Porsche factory and museum. I’ll let Kai give you all the details on the museum — after all, he had “press access” – but I’ll add another exclamation on top of Kai’s response: “do it! 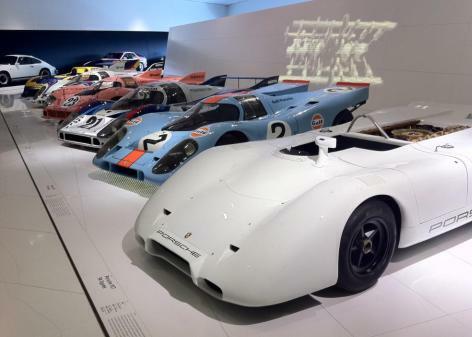 !” It’s a fantastic museum, filled with many examples of why we’re all car people and, whether you’ll admit it or not, Porsche fans. It’s worth the drive from Frankfurt/Nürburg to go there plus you get in more autobahn driving! Obviously, if you can, it’s worth your time to take the factory tour. Plan well ahead though; rumor had it the tours are booked up to a year in advance. approached the track we found the place pretty much wide open to the public and mostly empty. We couldn’t get on the track itself (nothing was going on), but the access roads to the facilities were open with bikers, joggers, and walkers using trails around it. We slowly drove to the museum area; we were too late to go in (closed in 10 minutes) but the gate to the grandstands was open, so in we went! We were able to see the main area of the stadium section and took some photos. I later tried to find a way via the GPS to get to the old unused section of track, but the GPS wasn’t helpful and the sun was going down. I see via photos on Google Earth that the old forest track has been destroyed anyway and is abandoned and being allowed to overgrow. A shame, really. Had I thought of this in advance, I could have plotted a route out to Jim Clark’s Memorial. Oh, well…maybe next time. So, back on the road to Nürburg we went. 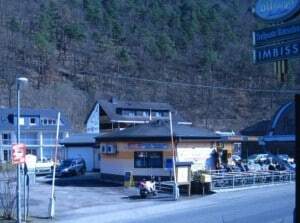 Our destination was the Dorint Hotel, a facility right on the Nürburgring Grand Prix circuit. As the elevator doors opened on our floor, we were greeted by a Trabant in the hallway…and in the room our balcony looked over the main straight of the F1 circuit! The main tower was lit up with the Mercedes logo prominently displayed. Yeah, the place ain’t cheap, but how many times have you been woken up by a VLN series Lamborghini Gallardo doing 8:00 AM testing?!? That Tuesday night, we had dinner at the Restaurant Pistenklause, a local establishment owned by the family of the renowned ‘Ring racer, Sabine Schmitz (and their Hotel am Tiergarten should be on your list of places to consider staying). It’s a real neat place, with the walls adorned with tons of racing memorabilia. The decor and lighting should look familiar to USA racers — it is described as “The Seneca Lodge of Nürburgring.” For the uninitiated, Seneca Lodge is a place in Watkins Glen where the racers hang out; it too, has local/historical racing-inspired racing memorabilia everywhere… More pilseners. bridge where the ‘Ring crosses over the main road (at the Breidscheid corner). After lunch, we walked up the steps to the viewing area at Breidsheid to watch the cars we were hearing. The track activity was fairly light, with a few Porsches (including our friends Sabine Schmitz and Klaus Abbelen in the Team Frikadelli “Meatball” 911), the factory 911 Hybrid, a couple of race-prepped Mercedes AMG SLS, and the new Golf “35 Jahr Edition” which, unfortunately, did not run during Saturday testing. Regardless of your preferred method of trying to figure out which direction the Nürburgring turns, nothing — and I mean nothing — can prepare you for the real thing. Sims and videos utterly fail to capture the dramatic elevation changes, the closeness of the Aarmco, the total lack of leeway to make mistakes, the explosion of cars — “supercars” and even econohatches! – passing you, driven by experienced pilots. The incredible sensory overload of your first lap or two on the granddaddy of this planet’s race tracks — sight, hearing, taste, smell, touch, all of it is overloaded — is such that you find yourself devolving back into fight-or-flight instincts, except there’s no one to fight (except yourself) and nowhere to run…after those first few laps your head is spinning, your mind racing, and it’s all you can do to just get back into the parking lot safely, turn off the ignition, and just sit there, thinking about what just happened. And then you’re ready to do it again. I did the Wednesday night orientation laps — three in all, one as a passenger — in the Z4 rental car. We only had an hour and a half on the ‘Ring that afternoon, but those three laps were enough to give me something to think about and to whet the appetite for Thursday’s all-day session. After collecting everybody we retired to dinner at the Blaue Ecke restaurant so we could chatter like giddy school kids about what just happened…and drink beer, of course.